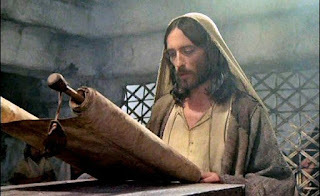 What Did Jesus Know, and When Did He Know It? One of the most fascinating questions regarding Jesus is this: What did He know and when did He know it? Even though Jesus is the Eternal Word, the One thru whom the entire universe was created, during the Incarnation He willingly lowered Himself to our level, temporarily giving up some of His omnipotence and omniscience (power and knowledge). The letter to the Philippians says, “Though he was in the form of God, [he] did not regard equality with God something to be grasped. Rather, he emptied himself, taking the form of a slave, coming in human likeness;…he humbled himself” (Phil 1:6-8). Or were the specifics kind of murky? Was Jesus proceeding each day on faith and trust in His Father, uncertain of the daily details but confident that His Father would guide Him when necessary? When did Jesus realize that He had to die to pay the price for mankind’s sins? Did He know that gruesome fact from the very beginning, or was it revealed to Him at some point in the middle of His ministry? The message was crystal clear. Jesus told them that HE, little ol’ Jesus who grew up in that very town, is the one, THE one, who has been anointed by God Almighty Himself. He told them very frankly that He in fact is the long-awaited Messiah for all of Israel. Whoa, do you understand what this means? 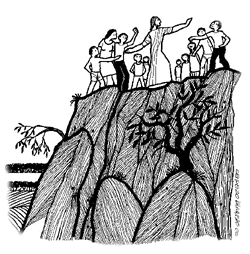 The people were so angry at Jesus they tried to throw Him off a cliff! They tried to kill Him! I’m not trying to be disrespectful. I’m just speculating about what He knew and when He knew it. After all, we know some basic things for sure about Jesus: 1) He was sinless. He was morally perfect. 2) During the Incarnation, although He was sinless He also was fully human (remember the Philippians verses), which means He experienced the emotional highs and lows common to all people. 3) In the Garden of Gethsemane, He was so distraught He actually asked His heavenly Father if they could try a different plan. Thru it all Jesus never sinned. But being confused, surprised, and distraught are not sins. Those are common human experiences. I’m just wondering if Jesus ever experienced those things, that’s all. If so, this week’s gospel reading seems to be a likely occasion for surprise and confusion. No, I’m not being irreverent and disrespectful. Contemplating Jesus’ possible surprise and confusion during His ministry helps me to relate to Him better. It makes Him seem less of a robot, emotionlessly following a carefully-crafted script and more of a real person with real daily struggles who must trust in His heavenly Father during times of uncertainty—just like all of us. The daily struggles and doubts and lack of knowledge are certain to occur. If Jesus experienced these same struggles, it wasn’t a sin. We can learn from His example. He handled these struggles by trusting completely in His heavenly Father. We can and should do the same. Even more amazing than the quality, thinness, and lightness of modern flat screen TVs, is the cost. You can get a rather large screen for only a few hundred bucks. This is a double-edged sword. It means almost every household can afford to have a big, beautiful screen hanging on the wall in the living room. But on the other hand, it means every public facility now is plastered with flat screen TVs. 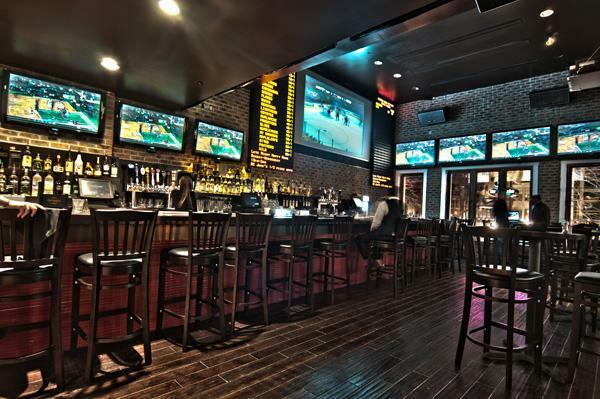 There are some places that have traditionally had televisions, such as bars and restaurants. But in “ancient times” (20 years ago) there was a single 19-inch TV up in the corner above the bar. 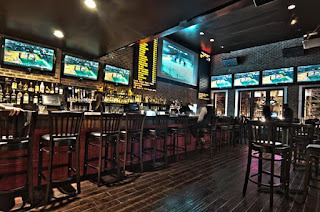 Patrons would say to the bartender, “Hey Fred, put on the Knicks game,” or, “Hey Fred, turn on the news.” These days it’s not just the patrons of bars and restaurants who are plastered; the rooms are plastered with flat screen TVs. It’s actually cheaper now to install a wall full of TVs than it is to put up wallpaper. You can’t go out to eat these days without being blasted from all directions by blaring TV images. Other facilities that never had TVs in the past now have them: the Motor Vehicle department, McDonald’s, Dunkin Donuts, doctors’ waiting rooms, car repair facilities, and funeral homes. I was at a wake recently and the big screen TV had a heart-warming slide show of the dearly departed, but someone was able to fiddle with some buttons and put on the Patriots game. Although I complain about being inundated with TVs, whenever I’m waiting in line and there is not a TV to watch, I find myself getting uncomfortable and fidgety. 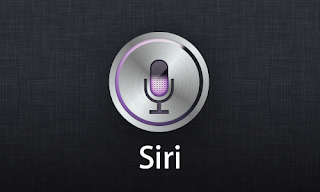 I grab my iPhone, press the button and say, “Siri, I need some entertainment.” Dutifully following her master’s command, the screen in my hand starts playing The Jerry Springer Show. 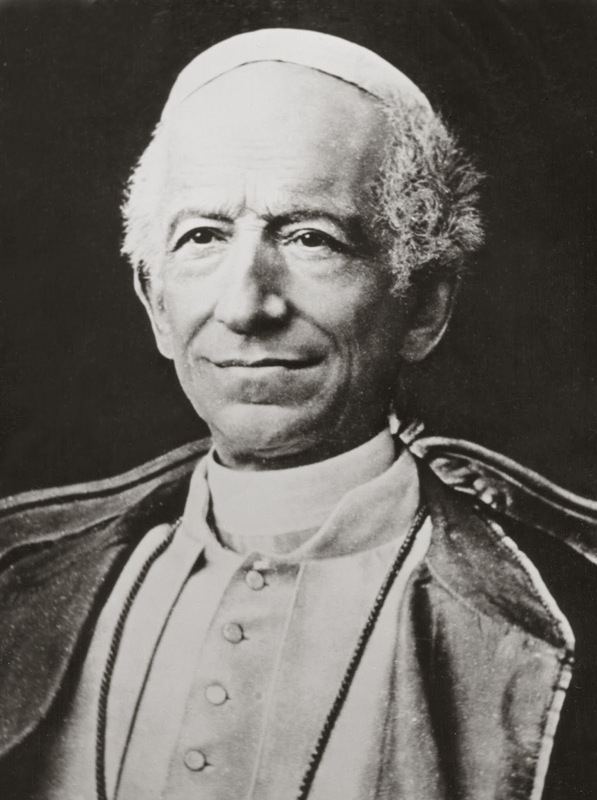 The prayer was written by Pope Leo 13th way back in the 1880s. The story goes that Pope Leo had a terrifying vision. In the vision he saw Satan being allowed by God to have one century in which to do his most destructive work. Satan chose the 20th century. You’d have to say the vision came true since during the 20th century there were two world wars, and atheist regimes such as the Nazis and Communists murdered well over 100 million innocent people. After having this vision, Pope Leo quickly wrote the prayer, asking St. Michael the archangel to protect God’s people. St. Gabriel is the messenger angel. He appeared to Zechariah, Joseph, and Mary during the Nativity episodes in Scripture. St. Raphael is the healing angel. We read about him in the book of Tobit in the Old Testament. And St. Michael is the warrior angel. 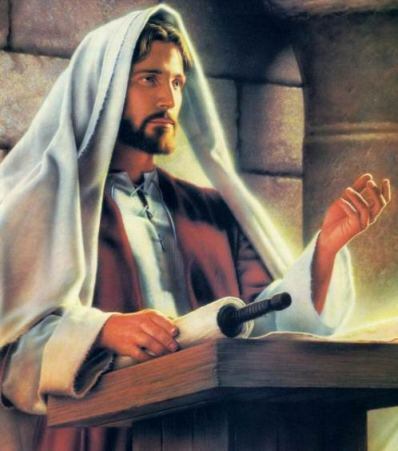 He is mentioned by name in the book of Daniel, and whenever we read about “the angel of the Lord” defending Israel, most scholars believe that was Michael in action. Dr. Peter Kreeft discusses the Prayer to St. Michael in his brilliant little book, “How to Win the Culture War.” Kreeft explains that the conflicts we see in our world today are not based on politics or economics or ethnicity; they are instead spiritual battles. Kreeft writes, “Our enemies are demons. Fallen angels. Evil spirits.” Unfortunately, most people nowadays in our modern, sophisticated world do not realize this. However, the New Testament is quite clear. Jesus warned Peter, “Simon, Simon, behold Satan has demanded to sift all of you like wheat” (Luke 22:31). St. Peter learned this lesson and passed it on to us: “Be sober and vigilant. Your opponent the devil is prowling around like a roaring lion looking for someone to devour” (1 Peter 5:8). St. Paul wrote, “Our struggle is not with flesh and blood but … with the evil spirits in the heavens” (Ephesians 6:12). And Pope Leo 13th understood this fact. That’s why when he had his horrific vision of spiritual warfare, he called on a spiritual warrior to defend us. Although most Catholics today are unfamiliar with the Prayer to St. Michael, it’s beginning to make a comeback. In 1994 Pope John Paul II urged Catholics once again to recite this prayer. 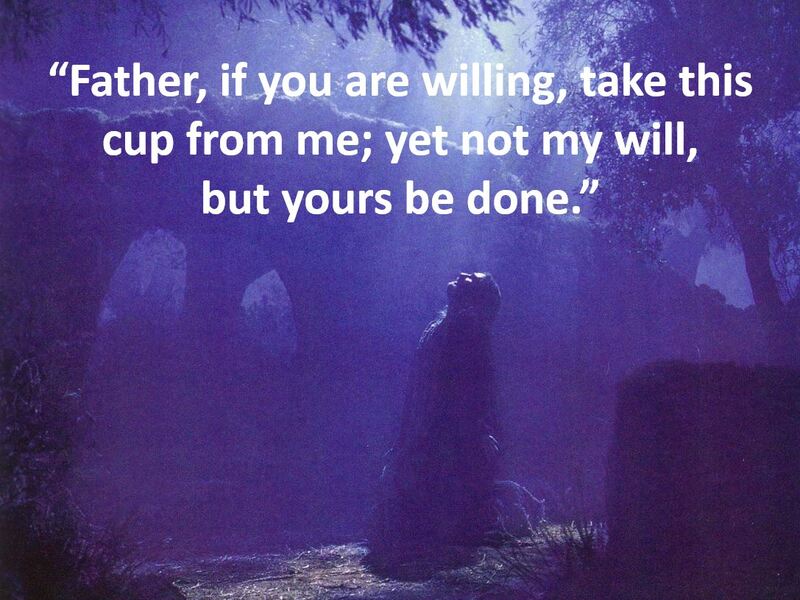 Some parishes are reviving the practice of offering this prayer at the end of Mass. Even though the 20th century was unprecedented in the amount of evil that occurred, our current century is still quite young, and it has the potential to be even worse. As Catholics, let’s call on all of our resources in the Communion of Saints. Let’s implore St. Michael, the warrior angel, to defend us in this battle for souls. The power of the Spirit—which theologians later realized was none other than the third person of the Trinity, the Holy Spirit—was absolutely essential for Jesus to complete His mission. Without the Holy Spirit as a supernatural bridge between Heaven and earth, Jesus would have been cut off from His Father. 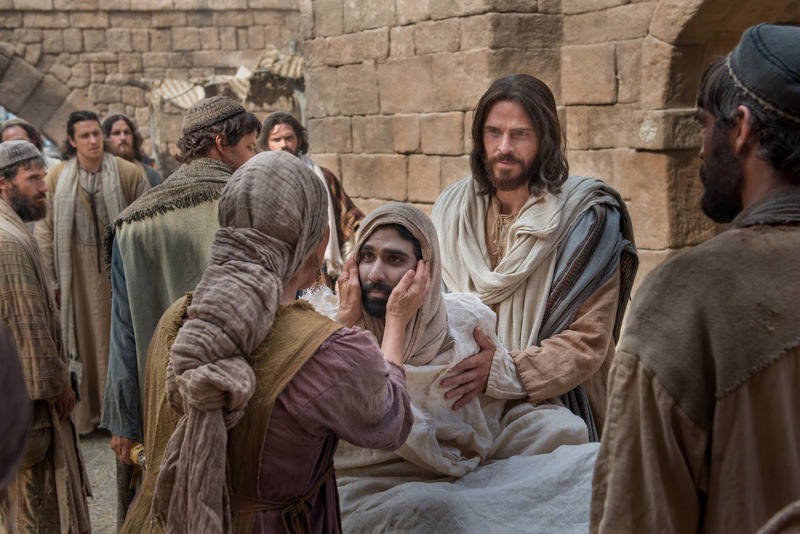 He would have been left with nothing but His earthly, natural abilities, which means He would have been unable to perform miracles and, most importantly, unable to rise from the dead Himself on that first Easter morning. The same is true for us. 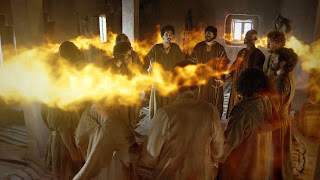 If we don’t tap into the power of the Holy Spirit, we’re left with nothing but our earthly, natural abilities, which means that we, too, will be unable to perform miracles and, most importantly, unable to rise from the dead at the Final Judgment. Why are you looking at me like that? You don’t think we’re able to perform miracles? Sure we are. I’ve seen it happen. Miracles definitely happen. As far as the rising from the dead thing, well, Jesus promised us it can and will happen, so for now, I’m taking His word for it by faith. Although a little less spectacular, the miracles I’ve witnessed are nonetheless bona fide supernatural occurrences. There are no natural explanations for them. People whose minds were as ravaged by fear and hatred as the skin is ravaged by leprosy, were miraculously filled with peace and kindness. Others whose hearts were crippled with bitterness and anger were miraculously filled with joy and gentleness. And still others, whose relationships with their spouses were as good as dead, were miraculously resurrected with an infusion of love and faithfulness. These things don’t happen by accident. They don’t just naturally occur. They are true miracles, performed by the power of God through the Holy Spirit. Back in that synagogue, Jesus made a big deal of proclaiming that the Spirit of the Lord was upon Him because the presence of the Holy Spirit was not an everyday occurrence back then. During Old Testament times, the Holy Spirit occasionally filled various patriarchs and prophets, but He wasn’t very available to the average person. All that changed at Pentecost. Jesus had promised His disciples, “I will ask the Father, and He will give you another Counselor to be with you forever—the Spirit of truth….He lives with you and will be in you” (John 14:16-17). At Pentecost, the Holy Spirit was poured out on all of them, completely transforming their lives. To this very day the Holy Spirit is available to all believers who sincerely ask Him to dwell in their hearts. Far too many people, however, think the idea of being “filled with the Spirit” is a little too weird and spooky. It doesn’t jibe with our modern, scientific view of the world, so they steer clear of it. What a shame. That’s like pushing your car down the street because you don’t understand that turning the key will allow the motor to do the pushing. 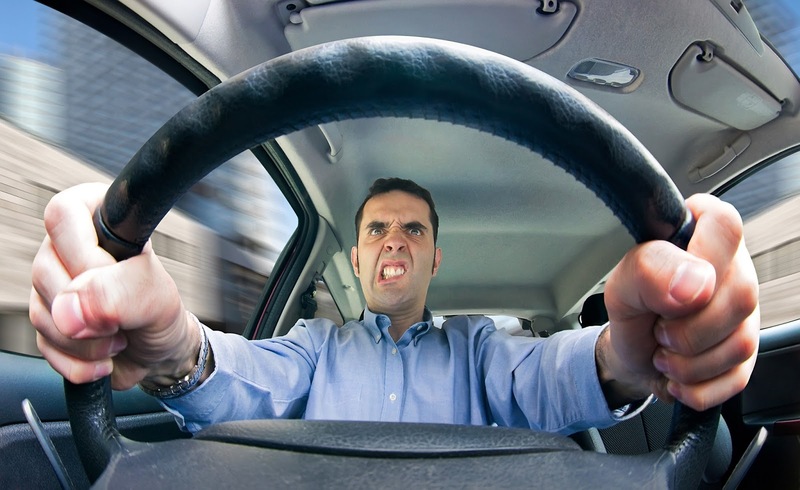 When you fire up the engine, you have a lot more power and a lot less frustration. We should not ignore the Holy Spirit. Jesus spoke about Him at length. And Jesus said the coming of the Holy Spirit would be a “gift” (Acts 1:4). We should accept this gift from our Creator with joy and thanksgiving. The other day I was running a little late for a business meeting, and I was traveling on one of those scenic state highways that has only one lane in each direction and a lot of winding curves. This means there are very few straight sections on which you can pass another car. Another feature of these winding state highways is the obligatory slow-poke vehicle. Sometimes you’ll encounter a dump truck, which moves fairly quickly on flat terrain or a downhill grade — and occasionally a little TOO quickly when moving downhill, especially when you look up at your mirror and notice the dump truck that was 200 yards behind you a few moments ago is now only six inches from your rear bumper, and you can’t quite tell if the animated expression on the driver’s face means, “C’mon, get moving, pal!” or, “Run for your life! I lost my brakes! !” However, when you’re behind a dump truck and the road starts to angle uphill, the truck suddenly goes from 50 mph to 5 mph, and at that point you need to phone your customer and inform him the meeting will begin a little late, possibly five minutes late or, depending upon how many miles until the road levels off, five days late. On the particular day in question, the slow-poke vehicle on the state highway was not a dump truck, it was instead a 1996 Buick Regal moving about 30 mph in the 50 mph zone. The car had its right turn signal flashing. “Good,” I thought, as I pulled up from behind. 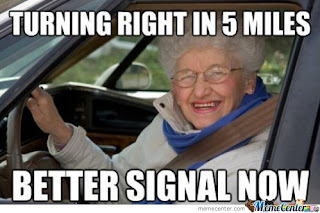 “It’s about to turn onto a side road.” Then the car proceeded to ignore every right-hand turn for the next two miles, at which point I finally realized the driver had no idea the blinker was on. As I drew even closer to the Buick, I could not see anyone in the driver’s seat. Now, I’ve heard that some auto manufacturers are working on high-tech driverless vehicles, but I’m pretty sure Buick did not offer that option with their Regals in the mid-1990s. So I ended up with a wonderful opportunity to practice the virtue of patience. (Which reminds me of my favorite prayer: “Dear God, please give me patience — and I want it now!”) I also had time to think, and what I thunk up was this: anyone who drives at least 2 mph slower than me is officially an “annoying slow-poke,” while anyone who drives at least 2 mph faster than me is officially a “reckless nut.” And it doesn’t matter how fast I’m driving at any particular moment, because I’m ALWAYS driving the exact correct speed. Now, if only the other 200 million drivers on American roads would realize this, then driving would be fun again. On the weekend of January 23rd and 24th, the second reading at Mass is from St. Paul’s first letter to the Corinthians. Paul offers a wonderful analogy, comparing the Church—the body of Christ—to a human body. 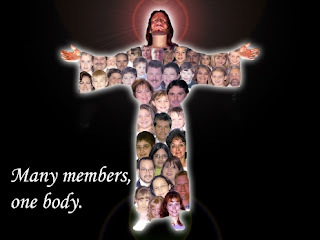 He explains that a “body is not a single part, but many.” Each part has its own important function, and all the parts work together to produce a single, unified, healthy body. Even though some parts of the body are more prominent than others—the head compared to the feet, for example—all the parts have an important role to play. It’s the same, Paul teaches, within the body of Christ. Each believer has been given a job by God, some much more prominent than others, but all very important. Paul’s lesson is crystal clear: if all the parts of the body of Christ do not step forward and perform their assigned functions, the entire body, the Church itself, will not be unified and healthy. But in this present generation, we cannot do that anymore. It’s no secret that there are simply not enough priests to go around. It’s time for the laity to stop being lumps in the pews and get up off our ample posteriors and help out. All the various individual functions within the Church are geared toward the primary function of the Church, which is to spread the Good News of the Gospel. But there’s one slight problem: most lay Catholics are not quite sure what the Gospel message is. 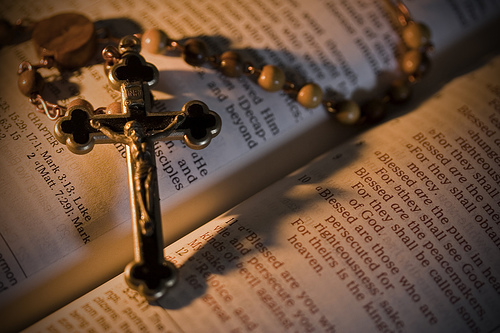 Many Catholic parishes now host Bible study classes (although we do a fairly lousy job of publicizing that fact). Start attending your parish’s Bible Study group. If your parish doesn’t offer one, then pull your dusty Bible off the shelf and start reading on your own. Begin with shortest gospel, Mark. Then read John’s gospel. Then then move on to the Acts of the Apostles. If you finish that, send me an email and I’ll suggest what to read next. The Church is in crisis today. Too many parts of the body of Christ are sitting back expecting other parts to do all the work. Each of us has to do our duty. The first step is to learn and understand the Good News of the Gospel. We do this by studying Scripture. Oh, and by the way, at the Final Judgment, there WILL be a test on this material. 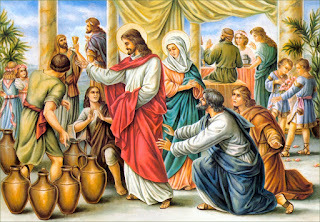 This weekend the Gospel reading at Mass is the Wedding Feast at Cana. Here is an excerpt from my book, “The Gospel According to Morty,” where Morty relates his experience at the Wedding Feast. But first, a little background is necessary: Morty is the unknown 13th apostle. He’s now an old man, explaining what it was like to be a teenager and travel around with Jesus and His disciples. Morty’s main reason for telling these stories is to counter the claim that Jesus never laughed. Morty offers many instances where Jesus displayed a very keen and jolly sense of humor. Such as this one…..
Of course, I was not invited because I was only 17. But I did what I often did back in those days to get into banquets and parties and other events that were for adults only: I tagged along behind Jesus and his disciples to see where the party was, and then I went over to the servants and offered to give them a hand. Naturally they were thrilled to have some extra help. So that’s how I was able to go to the banquets and see and hear what Jesus did. This wedding feast was a huge celebration. Let me ask you something: what do people do at weddings? No, I don’t mean the Macarena and the Chicken Dance. I mean: they laugh and they have a good time. The table with Jesus and the apostles was by far the loudest. Ever been to a wedding where there’s an open bar, and one table has 13 young men? Need I say more? People kept looking over at them and saying things like, “Who are those guys?” and, “They’re making quite a racket,” and, “You sure they were invited? Maybe they’re in the wrong room and they’re supposed to be across the hall at the Steinberg bar mitzvah.” They were really enjoying themselves. 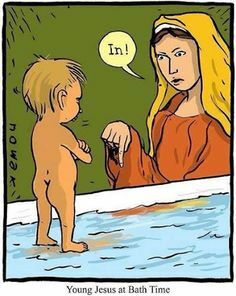 Jesus chuckled, kissed Mary on the cheek, and went back toward the kitchen. In the kitchen, he pointed to some stone water jugs and ordered them filled with water. And guess who had to do that chore? Right, it was me! And let me tell you, a stone jar filled with 30 gallons of water ain’t light! I can’t wait for someone to invent the forklift. So we dragged in six of these jars. Then I saw Jesus close his eyes and take a deep breath. Then he told me to scoop some out and bring it to the headwaiter. The headwaiter took a sip and was stunned. He said it was the best wine he ever tasted. Then he noticed there were six jars filled to the top, 180 gallons of fantastic wine. He ran to get the father of the bride, and told him to promise the band extra money to keep them playing, because this party was now going to go all night long. We didn’t know what that meant until much later. But Jesus thought it was really funny. Is there something wrong? You’ve been acting strange toward me lately. You’re not still angry about the lawsuit, are you? I told you over and over, it wasn’t personal. A product liability suit is not vindictive, it’s just, well, a matter of fairness. After all, this is the 21st century. If I’ve been victimized, I should sue, right? You have to admit, the evidence was overwhelming. 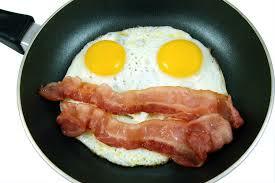 The food you fed me in the 1960s and 70s set the stage for my high cholesterol condition. You remember the courtroom testimony from Dad and Sis — all those mornings of bacon and eggs; all the pot roast, fried chicken, and butter? You heard those expert witnesses, that team of cardiologists from Yale New Haven Hospital, who said I’ll probably need bypass surgery soon. There was no question in the minds of the jurors. I didn’t file the lawsuit because you intentionally tried to hurt me, but only because your actions we’re inadvertently harmful. However, you know how the legal system works: ignorance does not relieve one of liability. Please don’t take it personal, Mom. I hate it when you’re mad at me. Now, about the media. Honestly, that was the absolute last thing I expected. I never thought that loudmouth Bill O’Reilly would do three consecutive shows about us. I can’t fathom why he was so outraged. People go to court all the time. It’s no big deal. And yes, I agree with you, that Geraldo fellow can be quite obnoxious. Another thing, Mom. I swear, it wasn’t me who gave The National Enquirer that old snapshot of our family sitting around the Thanksgiving table. For them to label it “The Den of Death” was simply despicable. By the way, I was talking with Dad the other day. He’s usually such a calm guy. Funny thing, when I saw him, he didn’t seem calm at all. He muttered something about a “long walk” and a “short pier.” If I didn’t know better, Mom, I’d think you were saying nasty things about me to Dad. There is another reason why I’m writing to you, Mom. As you know, my birthday is coming up soon. I just want you to know it’s OK if you don’t buy me a gift this year. 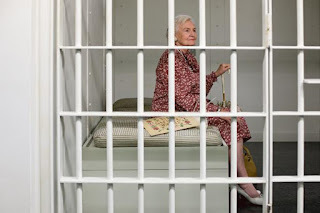 I’m sure your attorney has told you the appeal process can be lengthy. You may not actually be forced to pay me anything for a while. But having that huge damages award hanging over your head is probably making you cautious about spending money. If you don’t get me a present this year, Mom, don’t worry. I’ll understand. There is one thing you could do. You know how I love chocolate cake. It would be really nice if you could make me a big birthday cake, just like the old days, with candles and the works. I’d really like that. I’ll plan on stopping by next Sunday. Oh, and don’t forget, use only those special “egg whites” when making the cake. I wouldn’t want to have to sue you again! Do You Long for a ‘Burning Bush’ Moment? Personally, when my faith life is weak and it feels like God is a million miles away, I long for a “burning bush” moment. Remember in the Bible, how God appeared to Moses? There was a bush engulfed in flames, but it was not consumed by the fire, and God spoke to Moses out loud. In God’s infinite wisdom, He only occasionally reveals Himself to people in dramatic and spectacular ways, such as with Moses and Joseph. For the rest of us, God reveals Himself in much more subtle and quiet ways. Some of these ways include the laughter of a child, the smile and gentle touch of a spouse, the beauty of a sunset, the sublime wisdom in the pages of Scripture, and the peaceful joy that envelops us when we kneel in front of the tabernacle and bask in the knowledge that the body and blood, soul and divinity, of Jesus is present there. Admittedly, in our day-to-day struggles, we have times when these subtle manifestations of God don’t touch us. We don’t see Him, we don’t sense Him, and we start to wonder if He’s really there. That’s when we get those desires to experience a burning bush moment. Rep. Cohen made these comments in defense of Planned Parenthood. 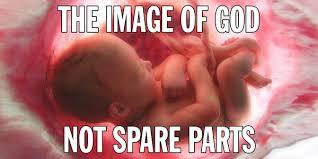 He argued that taxpayer money should continue to be given to Planned Parenthood. Wait. What?! He LIKES Planned Parenthood?! He actually used the phrases “saving lives” and “giving everybody an opportunity to live” in connection with the nation’s largest chain of abortion mills? Seriously?! Not surprisingly, Rep. Cohen is a Democrat, and not surprisingly, just like the rest of his party, he supports abortion-on-demand so passionately that he's completely oblivious to the utter foolishness of his words. He does not comprehend the macabre irony in saying that Planned Parenthood must be funded because it gives “everybody an opportunity to live.” Yeah, everybody except the child being dismembered inside the P.P. clinic. 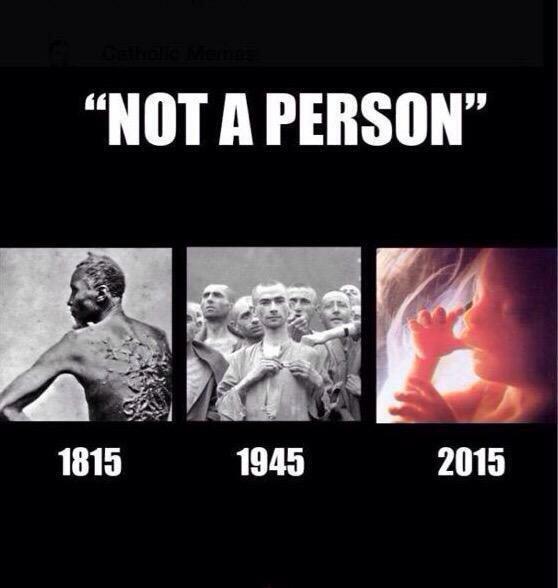 To Cohen and his fellow ideologues, it doesn’t matter if countless infants are killed each year; it doesn’t matter if Planned Parenthood callously sells baby body parts; it doesn’t matter that the founder of the organization was a racist who endorsed the Nazi’s eugenic efforts. All that matters is keeping the secular sacrament of abortion legal. I’m reminded of the words of the prophet Isaiah: “Woe to those who call evil good, and good evil” (Is 5:20). If God doesn’t chastise our sinful nation soon, then He really owes Sodom and Gomorrah a big apology. 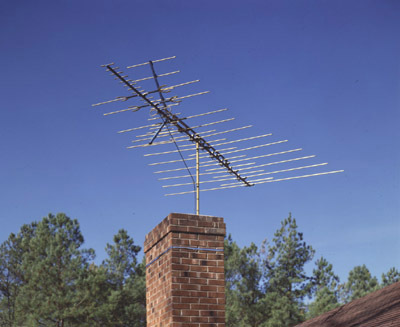 About a month ago I wrote about those old-fashioned rabbit ears TV antennas. I received a lot of emails in response to that column. Many folks reminisced about the rabbit ears antennas of their youth. They remembered constantly twisting and turning those telescoping rods, trying to point them in the exact right position for the TV program to come in clearly. Sometimes they attached pieces of wire or aluminum foil to the tips of the antennas in a desperate attempt to achieve better reception. A few people claimed TV shows came in best only when they forced their youngest brother to grab one antenna with his left hand and extend his right hand in the direction of Hartford while clasping a metal sauce pan. The older siblings thought this was terrific, since they could see Topo Gigio clearly on The Ed Sullivan Show. However, one of the younger siblings I heard from said he would’ve preferred being water-boarded rather than hold his arm out for a full hour. Fifty years later he still breaks out in a cold sweat when he sees a sauce pan sitting on the stove. 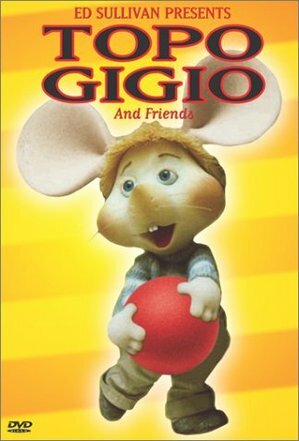 And he simply faints whenever someone mentions the name Topo Gigio. 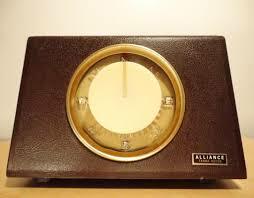 Other readers discussed another amazing device from the pre-cable television days: the automatic antenna turner. This was a mechanical system that actually rotated the TV antenna up on the roof. There was a little box on top of the television set with a dial. This box was connected with wires to a small motor on the roof. You would turn the dial to a point on the compass (north, south, east, west), and then you would hear that unmistakable sound: “Click-click. Click-click. Click-click.” As the dial slowly and methodically turned, the antenna on the roof also moved. It was always a moment of joy and wonder when the TV screen transformed from a hissing mish-mash of static into the image of Walt Disney welcoming everyone to this week’s show (in living color, no less). The automatic antenna turning system was very reliable — unless a bracket became loose on the roof and the antenna wouldn’t rotate; or unless one of the wires got disconnected; or unless rain water seeped into the motor’s housing and ruined the motor; or unless a high wind turned the antenna and caused north to be east, east to be south, south to be west, and west to be north. So in other words, the automatic antenna turning system was very reliable, upwards of ten-percent of the time. So when I was a kid, the automatic antenna turning system was the Dunn Boys. My father installed a metal pole, which rested on the ground and ran up the side of the house. Perched on top, way above the roof line, was the TV antenna. The brackets which held the pole were loosened a bit, so the pole could rotate in place. Grabbing that metal pole was always a treat, especially when it was about 5 degrees outside. Good thing I’m the oldest. I could delegate that chore in the winter. My youngest brother recently told me after half a century, the feeling is starting to come back in his fingers. But it was well worth it, since we were able to clearly see Topo Gigio. 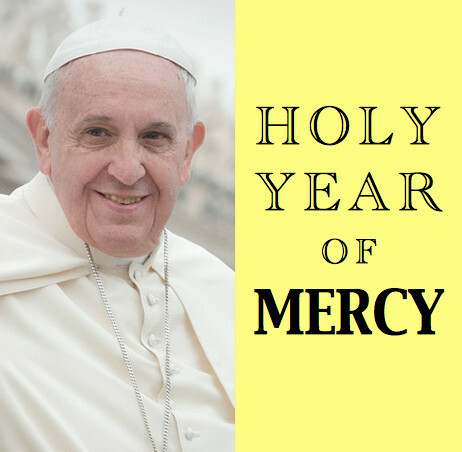 As you may have heard, back on December 8th we began the Year of Mercy. Or as the Church officially calls it, the Extraordinary Jubilee Year of Mercy. During this Year of Mercy there will be an emphasis on the mercy of God and the sacrament of Reconciliation. The primary symbol is the parable of the Prodigal Son. 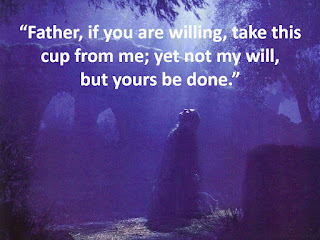 Many people think this parable should be called the Prodigal Father. 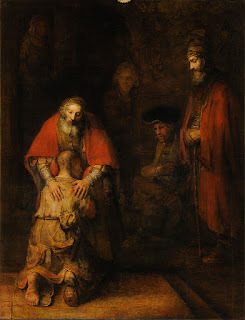 The word prodigal means “recklessly extravagant.” And certainly the rebellious son was quite recklessly extravagant in the way he sinfully squandered his father’s money. 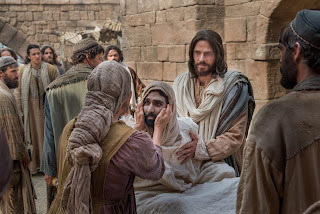 But when the boy came to his senses and returned home, hoping only to be allowed to live as one of the hired servants, his father was even more recklessly extravagant in the way he showered the son with mercy and forgiveness and love. 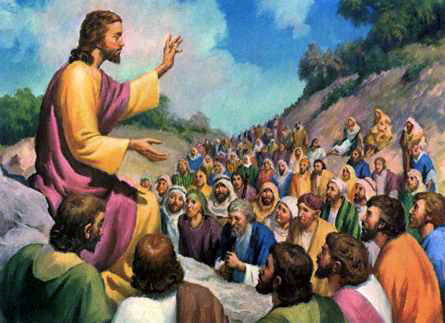 Jesus made it clear that the father in this parable represents God the Father. The reason Jesus told this parable was to let us know just how much God loves us, and to make sure we understand that whenever we drift away and embrace sin, our Father in Heaven will shower us with mercy and forgiveness and love when we return with a repentant heart. There is no doubt that over the years the Church has come across, in many people’s minds, as rather harsh and inflexible. To a lot of folks it seems the Church’s stance has been something like this: Here are the rules, if you don’t obey, you’re going to Hell. Case closed. Whenever you have an organization that is run by human beings, there are going to be some who are selfish and power-hunger, and who give all the others a bad name. There have been plenty of people in positions of authority within the Church who have done some horrible things. And these people need God’s mercy, too. On the other hand, if you get all your information about the Church from the secular media, you might think the Church is the most terrible organization in the history of the world. The mainstream media very much dislikes Christianity, and they always over-emphasize the bad things that occur, and hardly ever talk about the countless good things the Church does. Something else to remember: there has never been a time when the Church did not preach the message of the mercy of God. It is a fundamental aspect of the Gospel. We are all sinners (including Church leaders) and we desperately need to have our sins forgiven. 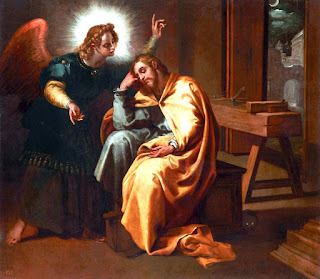 The mercy of God offers us just that, especially in the sacrament of Reconciliation. Thank God that God is indeed merciful. I mean, think about it. God still could have been the all-powerful Creator, but just have a real nasty personality. Nothing says God HAS to be loving. That’s a sobering thought. So, take advantage of this Year of Mercy. Go to Confession. Show mercy toward others. Most of all, embrace God with a repentant heart, for He is the Prodigal Father, the father who is “recklessly extravagant” with His love and mercy.